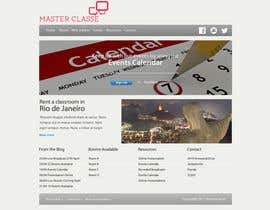 It is a WP website that I will use to offer some services: a classroom space for rent in Rio de Janeiro; record classes, lectures and events; live streaming classes and events; host videos related to the events broadcasted etc. 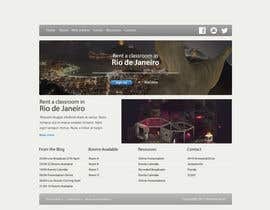 I need a WP theme with a logo for that. Must be originals. Please extend... I couldn't upload my entry. 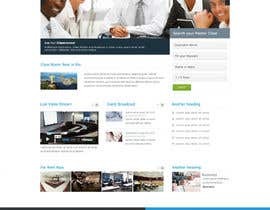 simply calling our designs at least shows that you understand that we have used our time in function of their need and the minimum qualification considered our work, is called respect. Thank you. Hello, I have submitted a word press layout for your website along with a logo. The layout is designed entirely by me where I have used royalty free images and own created graphics. I will be glad if you like them. I will look forward for your feedback. Are you serious? That design has no structure and is a complete pathetic attempt. Sorry, but your design is very poor. I need something professional and well done. Please, try again. I've extended the contest for more 5 days. Hi, as I had already completed most of the design I decided to finish it and upload it. As I have previously said I do not create logo's I still hope you choose my design. Fully layered PSD is ready. Hi, I would like to provide you with a very neat design however, I do not have the skills to design a logo. Could we still work together?